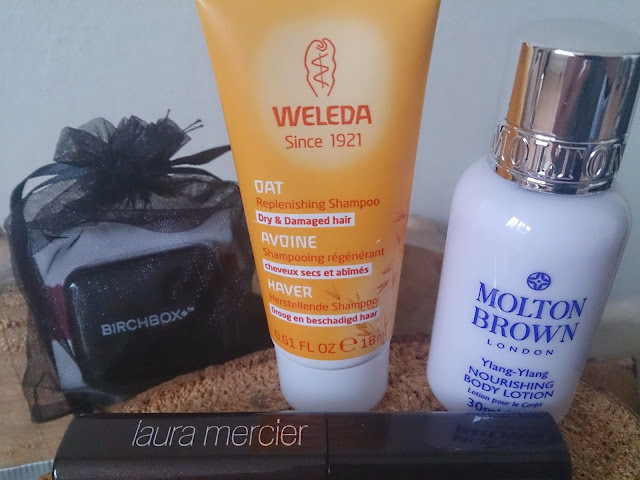 I loved last month’s Birchbox so much (you can see my review of it here) that I decided I couldn’t resist getting another month’s subscription! 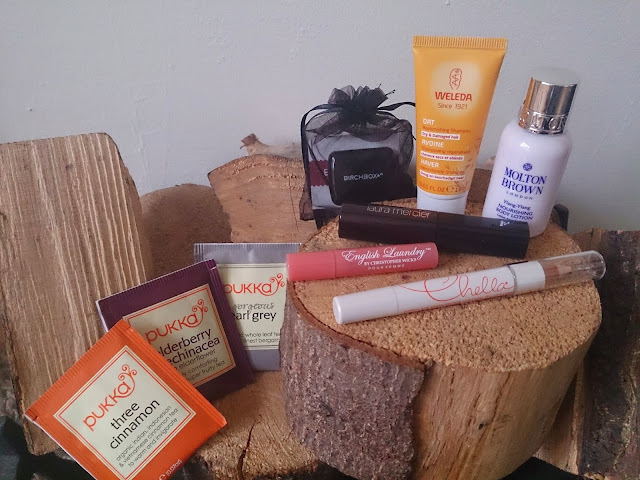 The November box has the theme of Icons, featuring Iconic brands and products that everyone from Celeb makeup artists to bloggers love to use! Now let’s take a look at what I received in November’s Birchbox! Smudge-free lengthening mascara gives the illusion of wide-eyes and fluttering lashes. 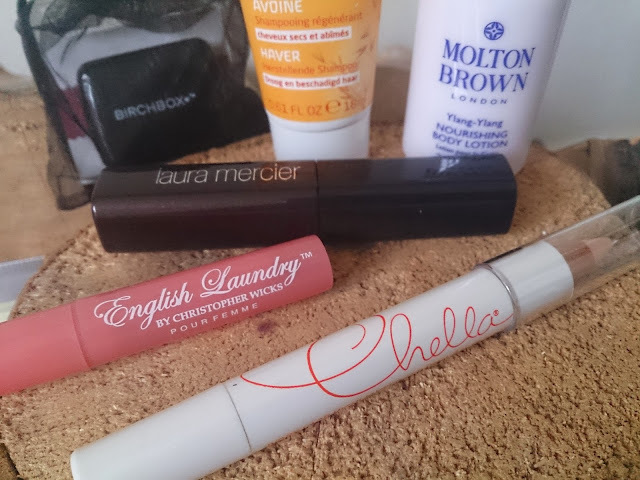 Add a glow and highlight areas, brighten the likes of brow bone, cheekbone and inner corner of eyes. Nourishing body lotion infused with ylang ylang to sooth and freshen skin. A nourishing yet gentle organic shampoo containing jojoba oil to reduce breakage, improve suppleness and smooth hair follicles. A delicate and vintage eau de parfum with notes of jasmine petals, quince and musk. A duo pencil sharpener perfect for sharpening pencils from lipliner to eyeliner. 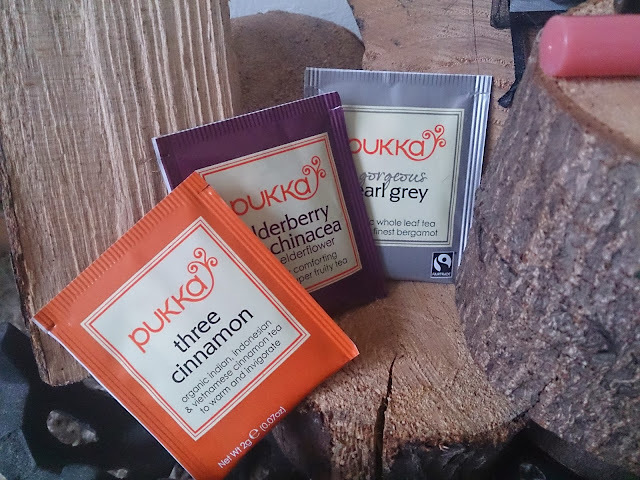 Three delicious flavours of herbal tea from Pukka Tea; Three Cinnamon, Elderberry & Echinacea and Earl Grey. I am a little disappointed with the lack of full-sized products in this Month’s box. I think the body lotion and replenishing shampoo are possibly a little on the small size as samples for hair and body go. Other than that I really like the products included, I won’t be purchasing next month unless it has a special Christmas theme that will get me all excited – we shall see! 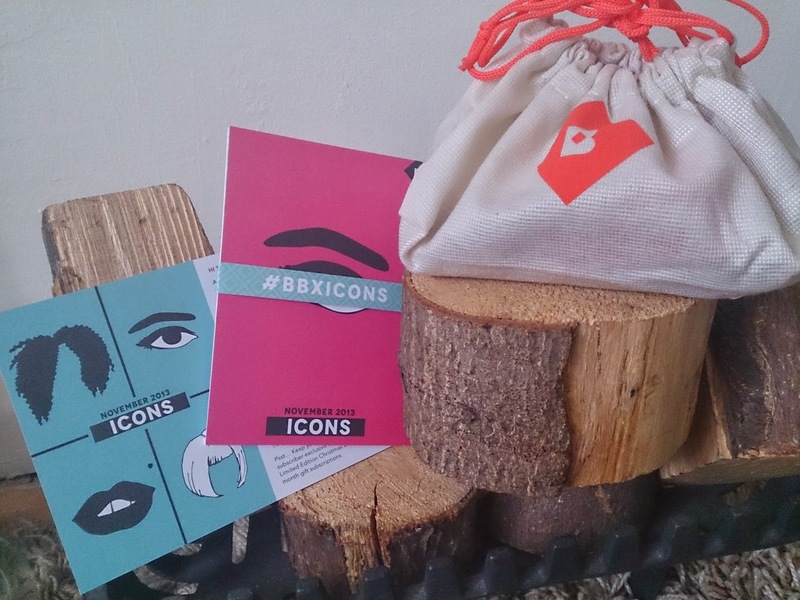 Birchbox is £10.00 plus 2.95 delivery and is available as monthly recurring subscription, 6 month subscription or 1 year subscription. 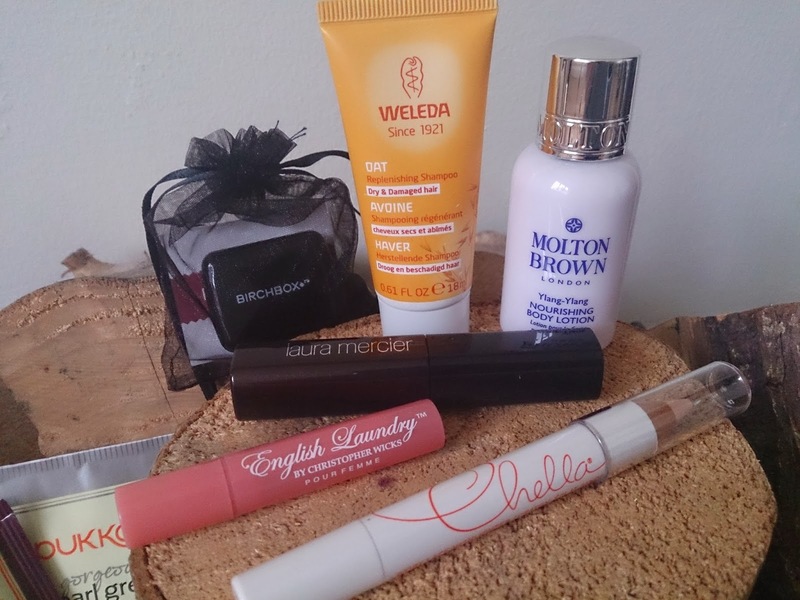 You’ll receive 4-5 hand picked samples recommended just for you based on your personal preferences when joining the site.  Click here to subscribe now. 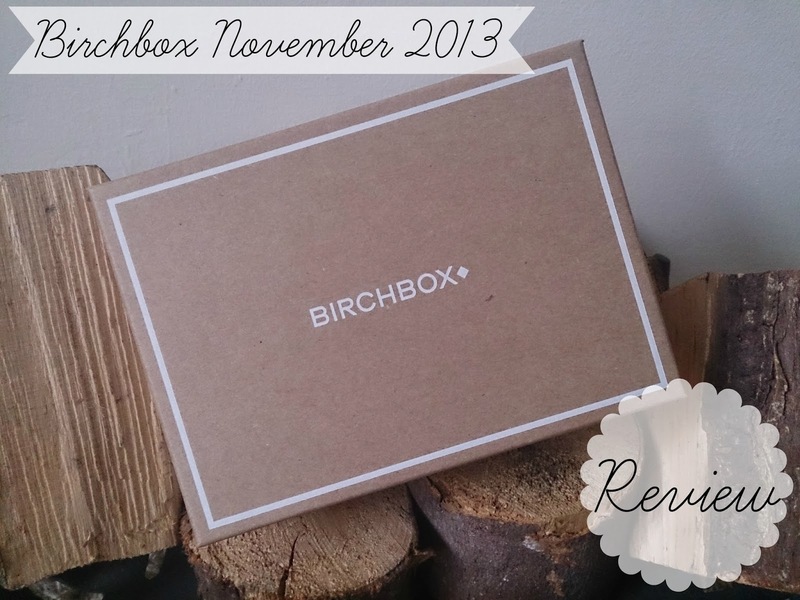 Did you receive Birchbox’s November Box? What did you think of the contents of your box? Next Post Wednesday Wishlist | Black Boots!